To Work with the Best . . .
For forty-four years, it has been a privilege and honor for our company to work with the fine folks at Marvic. promptly and effectively. They are always at the forefront of what’s new and exciting in the industry which helps propel their own customers into industry leaders. That’s true partnership. businesses as much as their own and that is why I wholeheartedly recommend them to others. superior customer satisfaction for nearly 50 years! 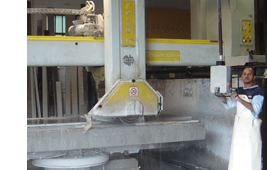 Marvic Corporation has been a fixture in the countertop fabrication industry in the NY/NJ metropolitan area since the company’s founding by Al D’Alessandro in 1961. Family-owned and operated, we’re now approaching a half century as a leading wholesale supplier and installer of premium, custom countertops to both the residential and commercial markets in the tri-state area. A full range of custom features (edging, inlays, borders, trim, etc.) and accessories (sinks, backsplashes, etc.) are also available. Consistently investing in the latest fabricating technology and employee training to always offer the best product at the most competitive price, on time, every time. Developing prosperous long-term business partnerships through personal, hands-on service that consistently meets or exceeds expectations. 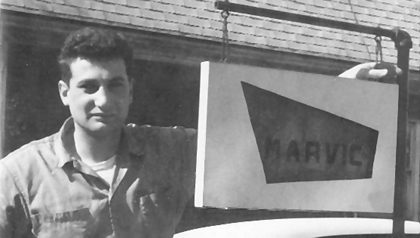 That’s the Marvic tradition Al D’Alessandro began in 1961 that lives on today and will last into tomorrow.